Applications for our summer/fall program are now closed. Stay tuned for announcements regarding fall/spring openings later this summer! 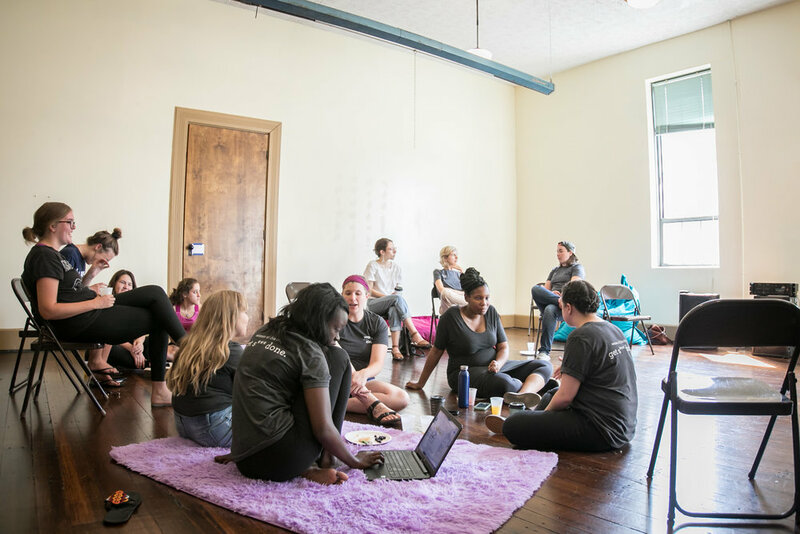 Women of Cincy is a collective built to awaken and amplify change-makers. Our residency program is aimed towards college students with interests in journalism, communications, graphic design, and multimedia. Young people must be a part of the conversation and a part of the action. We believe in investing in young people by giving them an active role in creating work that exemplifies integrity, quality, and social good. The Women of Cincy residency generally spans two semesters. In residents’ first semester, they build skills and establish a deeper understanding for Women of Cincy and their own goals. Their second semester comes with the title of senior resident in which they act as peer mentors to the new residents and continue gaining valuable experience. Capstone projects span both semesters. Note: Preference will be given to candidates who can commit to two semesters, but applicants who can only commit to one semester are still welcome to apply. Positions are unpaid, except in glowing references and the chance to build community with a group of amazing Cincinnatians. Check out details for each position below. Applications for our summer/fall program are now closed. Stay tuned for announcements regarding fall/spring openings later this summer. Meanwhile, feel free to email Residency Director Kiersten Wones to learn more about the program. Manage and create an independent capstone project of your choosing, such as an interview series, creative piece, oral history, etc. Kiersten is a writer by trade and fell in love with words at a young age, but as an entrepreneur, she found her hidden talent was an unshakable drive to make things happen. She’s constantly seeking the courage to be her realest self and hopes to inspire others to do the same. Her loves include a crazy toddler, caffeine, bad crime shows, songwriting, and all things Cincinnati. Karina is a senior at UC navigating her way through a journalism degree. Her love for writing and passion for the community is what led her here today. When she’s off the clock, you can find her tending to her house plants, spending copious amounts of time on her skincare routine, or trying to get used to this whole Oxford comma thing. Maggie is a Cincinnati-based writer and photographer. Originally from the great barbecue city of Memphis, she came to the Queen City for the UC degree and stayed for basically everything else. When her hands aren’t busy holding a camera or typing, they’re probably busy baking something. Kate is a fourth year at the University of Cincinnati studying communication and marketing. She has a love for exclamation points, dogs, Cincinnati, books, social justice, and trees. Kate's ultimate dream job will forever continue to be a dog walker, but for now she hopes to work for nonprofit post graduation. Natalie is a freshman at Miami University studying accounting. Her passion for supporting and uplifting others in the community led her to the Women of Cincy team. Caffeine fuels her, but her friends and family motivate her to accomplish her goals. Stephanie is a super senior (and a first generation student) at the University of Cincinnati, majoring in journalism with minors in electronic media and English. Her time as a clerk and assistant web editor at the Cincinnati Post inspired her to return to school in 2014 to finally finish her degree and get back into a newsroom. When she’s not working on her digital journalism skills, she’s writing about beer and binging on Hallmark movies. Lindsay is a Cincinnati native and Covington resident entering her final year studying journalism at UC, while finishing accidental minors in communication and psychology. She is a taco enthusiast with a passion for writing, Skyline, showtunes, and Harry Potter marathons. Capstone: My capstone was an open conversation with four college women regarding their faith, how to be open to others, and how they tackle conversations about faith in the current society. Ally, a Cleveland native, is currently a fourth year at the University of Cincinnati studying communication and public relations. She has a passion for fashion (especially OTR’s boutiques), enjoys holding puppies, and prefers to be on a beach reading a romance novel. As a lover of food, Ally hopes to travel the world and try every culture’s cuisine one day. Capstone: My capstone involved the completion of Instagram highlights that are categorized by Women of Cincy's pillars: storytelling, community, collaboration, and mentorship. I also created Instagram story guidelines for the next social media resident to enhance the engagement and impressions on Instagram. Lauren is currently a fourth year student at the University of Cincinnati studying international affairs and creative writing. She drinks copious amounts of tea and buys too many books. In her free time she enjoys pinning decorative DIYs on Pinterest, writing numerous stories, and sharing plenty of embarrassing, but funny mishaps with the people around her. Capstone: For my capstone project, I interviewed three women from Syria, Mexico, and Nepal about their journey to Cincinnati and then wrote a literary nonfiction piece about their stories. Lizzy is a native Cincinnatian and a student in University of Cincinnati’s urban planning program. She joined the Women of Cincy in the summer of 2018 as a graphic design resident. 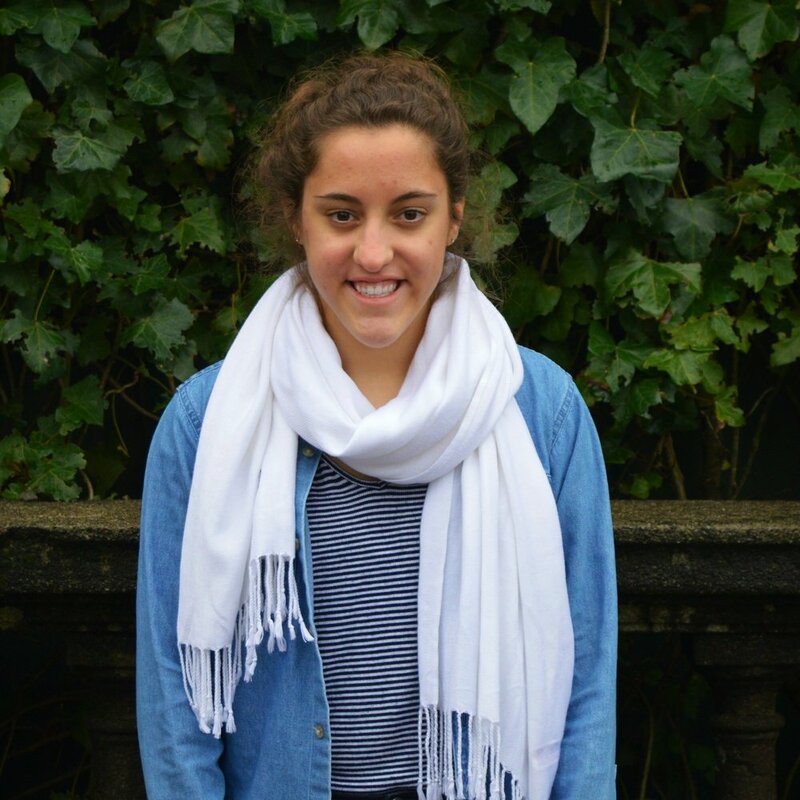 Her passions include photography, graphic design, and sustainability, and she loves meeting new people.